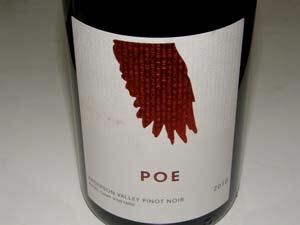 Samantha Sheehan founded POE in 2009 specializing in single-vineyard Pinot Noir and Chardonnay from Anderson Valley, Manchester Ridge and Carneros vineyards. 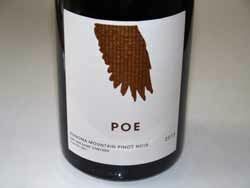 The winemaker is Jonathan Keyes, currently an assistant at Outpost Wines working under noted winemaker Thomas Brown. The 2010 offerings include a Ferrington Vineyard Chardonnay and Angel Camp Vineyard Pinot Noir. 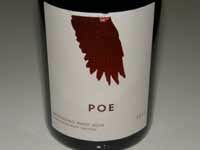 My brief encounter with these wines indicates this is a winery to put on your radar. The wines are sold through the website store and a mailing list. The wines are offered on notable wine lists including those at Michael Mina in San Francisco, The French Laundry in Yountville, and Mustards Grill in Yountville.